In May of year artist Kris Starlein made available a gorgeous 1.75″ enamel pin of a (mostly) human skull, ensconced in a ferocious werewolf silhouette. I purchased one as a gift for my wife, and have envied it ever since. Now Kris (who goes by KingGuro) has started accepting pre-orders for a new pin that serves as a sequel to the original one and re-contextualizes the set as an ongoing transformation. 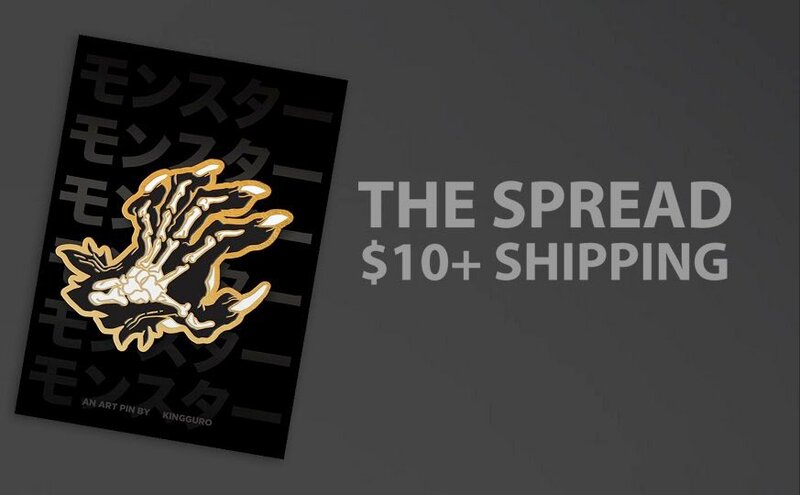 You can pre-order “The Spread” – depicting a human hand transforming into a furred claw – for $10 USD plus shipping. 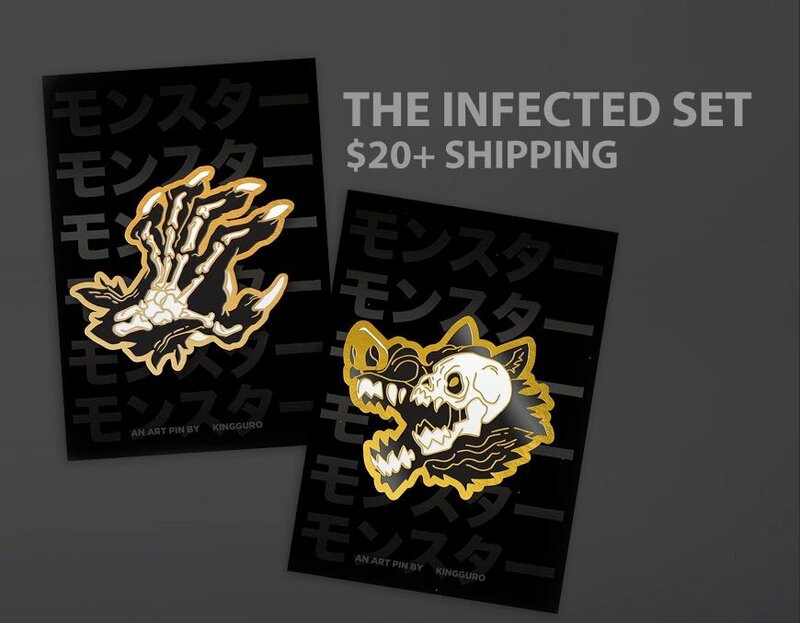 If you missed the original pin when it came out, you can snag both as “The Infected Set” for $20 USD plus shipping. Just fill out this Google form with your choice and details and you’ll be sent a PayPal invoice when the time comes. You’ll also get updates on the pin’s manufacturing progress and shipping dates (currently estimated as mid-April). If you live outside the United States you can still place a pre-order, but be aware that you’ll pay more for shipping. I love the design so much (and was so impressed with the quality of last year’s pin) that I’ve asked to order both options – The Spread, to complete my wife’s set, and The Infected, so I can add both to my own pin & badge-laden vest. If you’re interested, act fast – the pre-order is likely to close in the next week or two.